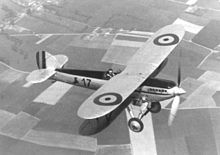 In 2002, the Belgian government decided to emulate Canada and impose a "single structure" on its armed forces in which the independent Belgian Air Force ceased to exist. The Belgian Air Component (COMOPSAIR being the HQ) consists of the 2nd Tactical Wing in Florennes Air Base and the 10th Tactical Wing in Kleine Brogel Air Base, both flying F-16s in four squadrons. Out of the 160 F-16s originally bought by Belgium, only 105 were upgraded; with further reductions to 72 aircraft in 2005; and planned to 60 by 2012. The 1st Wing at Beauvechain Air Base is assigned for the training of pilots, using the piston-powered Aermacchi SF.260 for elementary training, and the Alpha Jet for advanced training. Advanced combat training is done on F-16's at Kleine Brogel. COMOPSAIR still operates the Lockheed C-130 Hercules in the 15th Air Transport Wing based at Melsbroek Air Base, planning to replace them by seven Airbus A400M transport aircraft. VIPs are transported with Embraer 135/145 jets, Dassault 20/900, and the Airbus A321. The Sea King SAR helicopters were phased out in March 2019 after more then 40 yaers of service and replaced by NH-90s (4 NFH + 4 TTH). The Alouette III helicopters flown for the Belgian Navy in a utility-role and will be phased out in 2021. This page was last edited on 25 April 2019, at 10:41 (UTC).